For me, 2011 was a weird year in gaming. I spent much of last year playing older games or things on sale because I was newly graduated and lacked the funds to support this hobby. Then I moved to Japan, dove into the world of PlayStation 3 ownership and began to play games both in English and Japanese. I felt a little under-prepared for Game of the Year last year. 2012 has been more “normal.” A job means the chance to spend money unwisely on videogames, and as I’ve learned more about my corner of Japan, I’ve also found the best local game stores. Oh, and I’ve discovered the joy of PlayStation Plus. This year, I was ready. Now that our "Top 10" group list has been finalized, it’s time to talk about my favorite games that didn’t make the cut. To shed some light on the process: we started with a “short list” of about 40 games, narrowed it down to 20, and then began making difficult cuts. A few of those tough calls (in my opinion) are seen below; otherwise, these are games I enjoyed spending time with this past year. First and foremost is Mass Effect 3. I am a huge fan of this series of games, but my initial reaction from last March remains: The gameplay is fantastic and the story beats are there and impactful, but some of the associated pieces of the game are undercooked. ME3 is a cake that needed more time in the oven. It’s not even a matter of the ending (for me, at least), but how poorly side-missions and ancillary characters were handled in the game. There are sections that remind you of ME and ME2, and some of the better setpieces and storytelling segments of the trilogy. The shooting, powers, and leveling-up systems are each the best in the series in my eyes. However, those are not enough to overcome the shortfalls. And much of what's been offered as downloadable content (namely the From Ashes and Leviathan packs) SHOULD have been on the game disc from the start. Those flaws kept the game off our top 10. My next game is another AAA title that promised a lot and left us with a bad taste in our mouths. Yes, it’s Assassin’s Creed III. The problem is that it’s the most "Assassin's Creed" Assassin’s Creed, and still isn't the best of the series. 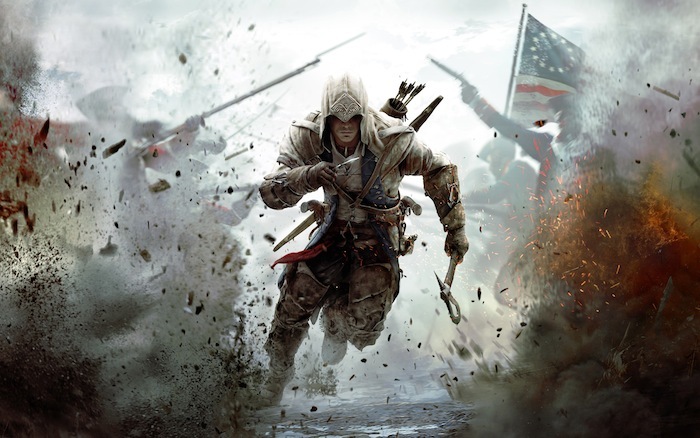 For the inevitable next game (whether it be Assassin's Creed III-2 or IV), there’s a lot of dead wood to be stripped away; the legacy of adding play mechanics and side content on top of what already exists must end, because it's this game’s largest issue. It's notable that the best part of the game is the new naval combat; the features brought forward from previous games pale in comparison. Connor is a step back from Ezio, no doubt, but it's the pacing and sluggishness of the game that disappoints me the most. From two slight disappointments we move on to games I earnestly enjoyed this year. I’ll start with Spec Ops: The Line, which I pushed really hard to keep in the top 10. The audacity of trying to create a 21st-century Apocalypse Now videogame is a brave departure from the status quo. Yes, it’s something of a mediocre third-person shooter, but I feel that makes an even stronger statement about the incredibly popular, violent modern military shooters from this generation. Everyone should go track this down, put it on Easy, and play through for the excellent story. Next is a game that completely surprised me. 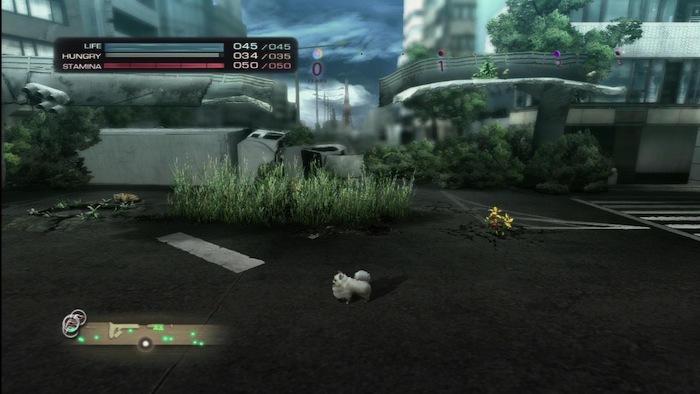 Who knew I’d be nominating a game with a Pomeranian on the cover for our top 10? But that’s exactly what happened with Tokyo Jungle. It’s not a perfect game, and it’s not an especially detailed game, but it is quite fun. As I discussed recently, it's a game that allows you to learn despite coming to a gruesome end. It’s also an enjoyable throwback to an era where not all games were polished to within an inch of their life — the gameplay can be imprecise at times, and the mechanic of unlocking Story missions through Survival mode seems backwards at best. But these things – and being able to put hip-hop clothes on your beagle – all make the game worthwhile. Last is something of an incomplete, a game I started but put down when the fall rush hit. It will be the first thing I play on return to Japan (and my PS3). It’s Dishonored, which I know other staff were fans of as well. It’s an interesting mix of gameplay styles, and I want to dig into it more. Hopefully I can in the new year. I know that it's a game designed for patience -- sit down, follow your prey, move silently and strike like the wind. But then there are also people who've figured out how to act like an action movie ninja, bouncing from spot to spot, dispatching justice with a very sharp blade. Looks like fun to me.